Delta SkyMiles are often called “Sky Pesos” because of their seemingly low value on many redemptions, but there are actually a bunch of great reward options possible with SkyMiles! Below I’ll share the best redemptions currently available to book award travel with the Delta frequent flyer program, so you don’t have to think of your miles as “Sky Pesos” anymore either. SkyMiles can be earned by signing up for various credit cards, including co-branded Delta credit cards offered by American Express. You can search for award tickets on Delta.com and can easily redeem SkyMiles on flights with Delta Air Lines and partner carriers when using their search engine. Many airline partners (but not all) are available to search online. For some, you have to telephone Delta to confirm availability and book. When you’re searching for availability, simply elect to view the price in miles to see how many miles it will cost to take the award flight. Hot Tip: Look through all options because even when sorting by lowest price, cheaper options on partner airlines may be placed below Delta options, if, for instance, the partner flight miles are cheaper but taxes and charges are higher. Delta is part of the Sky Team alliance, and they also partner with a few other airlines who are unaffiliated with an alliance. Virgin Altantic and Virgin Australia are particularly popular for awards through Delta’s partnership with them, as well as GOL in Brazil. Bottom Line: These partnerships offer many options to redeem Delta SkyMiles for award tickets with a variety of carriers on flights all around the world. With the following cards, you can earn Delta SkyMiles directly with no transferring required. They also include great welcome bonus offers to help you quickly earn your first Delta award ticket! Earn 30,000 Bonus Miles after you use your new Card to make $1,000 in purchases within your first 3 months. If you like earning Amex Membership Rewards, they can be transferred to Delta SkyMiles at a 1:1 ratio. These cards also include great welcome bonus offers. If you’re a business owner, you can see a list of Amex’s business credit cards here. You can earn Marriott points and transfer those to Delta at a transfer rate of 3:1. Plus, for every 60,000 Marriott points that you transfer, you’ll receive an extra 5,000 Delta SkyMiles bonus. Since Delta doesn’t publish an official award chart anymore, it can be tough to determine the lowest price available for a given flight you want to book. I recommend using the award chart listed above as a general reference, but it may not be completely accurate because it is not published by Delta (especially as Delta continues making changes to their pricing models). Hot Tip: When you search for award availability on Delta.com, you should select the 5-week flexible award option to improve your chances of finding a low-level award, especially if you have flexibility in your award travel. From a 5-week search, drill down to specific dates to verify availability since the calendar is not perfect. Some days may not show the cheapest option on the calendar. Even if you don’t have flexibility, finding the lowest price will at least tell you how much of a premium you’ll be paying to fly on your ideal date, and might lead you to investigate booking with other airlines instead. Delta has recently begun imposing much higher prices on most awards booked with 21 days of travel. Delta has also raised lowest award prices on partners compared to travel on Delta. In this post, I’ll quote the SkyMiles amount that’s generally accepted as the lowest level mileage price that Delta currently charges. If you randomly search on any given day, you may see significantly higher prices. When you search on specific dates, make sure to sort by Price from the drop-down menu since that’s not the default sort option. Once you have earned enough Delta SkyMiles, follow the suggestions below to make sure you’re using your SkyMiles for the best redemptions possible! Fly Delta within the U.S. for as low as 5,000 Delta SkyMiles. Image courtesy of Delta.com. In the not-so-recent past, Delta did not offer award travel on one-way flights. Until January 2015, Delta SkyMiles were redeemable only for round-trip tickets, which made SkyMiles significantly less valuable than they are now. Thankfully, Delta SkyMiles joined the rest of the industry by granting great award redemptions on both one-way and round-trip flights. Cheers to that! While Delta says on its frequent flyer page that one-way flights in the U.S., Alaska, and Canada start at 10,000 SkyMiles, it is actually possible to find flights as low as 5,000 miles one-way on select routes like San Francisco to Seattle. Sometimes, these are announced as limited-time flash sales, other times, they pop up when cash ticket prices are cheap. These low-cost flights can be a great deal, especially last minute when Delta flight prices tend to be higher. However, if you’re searching a month out on this route, you will probably see one-way prices around $89, making the redemption only mediocre. Since Delta’s prices are variable, it always makes sense to compare award prices to cash prices for flights. When considering transferring your American Express Membership Rewards points to Delta, there is something else you need to think about: American Express charges a fee to transfer Membership Rewards to any U.S.-based program, including Delta SkyMiles. The fee is quite small: only 0.06 cents per point up to a maximum of $99. If Delta has award availability on a flight you want, this fee shouldn’t be enough to stop you from transferring your miles and booking the ticket, but it’s something to be aware of nonetheless. Hot Tip: Bring The Platinum Card® from American Express for complimentary access or the Gold Delta Skymiles® Credit Card from American Express for discounted access to the Delta Sky Club to make your travels a little sweeter! Use your Delta SkyMiles to fly Virgin Atlantic Upper Class to Europe. Image courtesy of virgin-atlantic.com. Many people rave about Virgin Atlantic’s Upper Class (basically, their business class) experience, especially on the ground at London Heathrow. 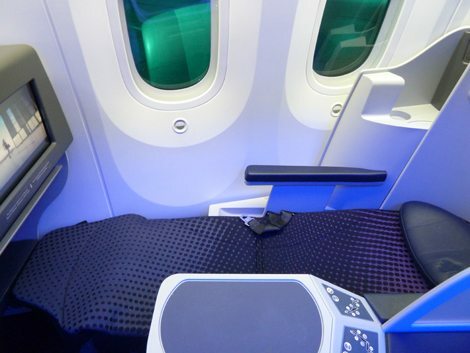 For flights across the Atlantic Ocean, you can really get the full experience of their lie-flat seats and great food. There are a few different programs that will grant you access to book Delta airlines award travel on Virgin Atlantic. One of the best redemptions available is to use Delta SkyMiles. Tickets from the U.S. to London are available on both Delta and Virgin Atlantic, but you generally won’t find low-level availability for Delta’s own flights. Rather, you should look to fly on Virgin Atlantic. When you do your search on Delta.com, look for VS in the corner of the box displaying the flight details. The VS indicates it’s a flight on Virgin Atlantic. Your lowest fare from any major U.S. city to London one-way in economy class is 35,000 SkyMiles or 86,000 miles in Upper Class. That’s a round-trip flight for as low as 70,000 SkyMiles, even from the West Coast! You can connect onward to anywhere else in Europe, provided there’s availability with either Virgin Atlantic or another Delta partner. Virgin Atlantic flies nonstop from Atlanta, Detroit, New York, San Francisco, and a handful of other U.S. cities. Get the greatest value out of the Upper Class experience by flying from the West Coast, since your flight time will be 10.5 hours instead of 7 from the East Coast. 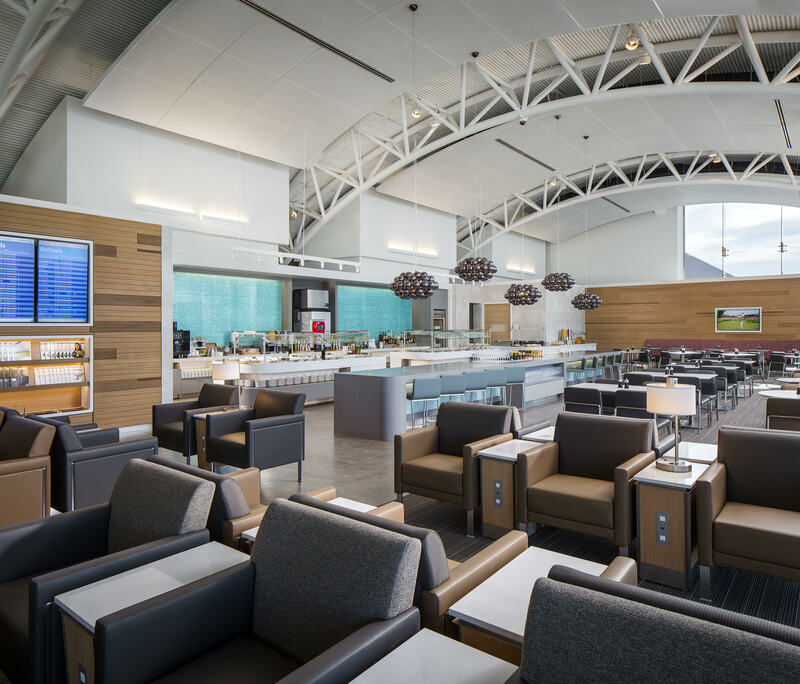 It’s even better to fly Virgin Atlantic back to the U.S. from Europe because you’ll have access to the Virgin Atlantic Clubhouse during your stay at London Heathrow. I haven’t yet had the pleasure to visit, but I’ve heard wonderful things from others who have! You’ll only want to book Europe to the U.S. as part of a round-trip flight starting in the U.S. because Delta sneakily adds a huge cash surcharge for awards originating in Europe. The number of Delta airlines frequent flyer miles you’ll need to redeem your ticket is the same regardless of flight time. Need help booking? 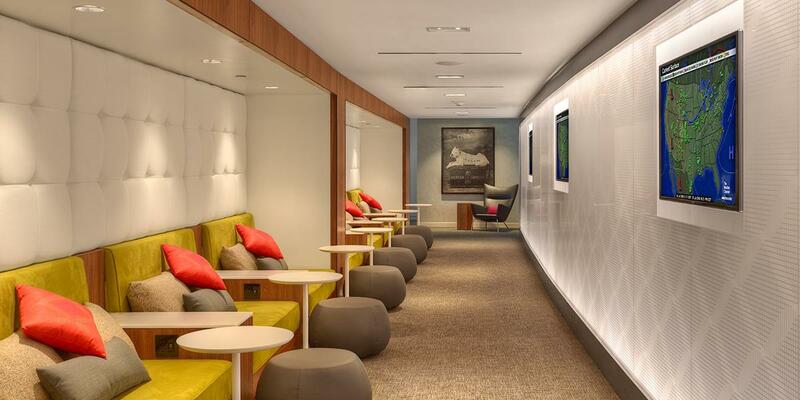 Check out our step-by-step guide to booking Virgin Atlantic Upper Class! Hot Tip: Grab a Global Entry account before making your journey to enjoy quickly passing through customs when you come back to the U.S. You can get the $100 fee reimbursed with numerous cards, including The Platinum Card® from American Express. Fly around Australia in style with Virgin Australia in business class! Image courtesy of virginaustralia.com. Ticket prices to Australia, New Zealand, and the South Pacific are high as a general rule. On the low end of the spectrum, you’ll pay at least $6,000 in business class or $900 in economy class per ticket. Considering the relatively high flight prices, Australia, New Zealand, and the South Pacific are great places to visit using miles if you can find availability. You can fly from the U.S. to Australia and New Zealand on Delta’s partner, Virgin Australia. If you want to fly to the South Pacific Islands of Rarotonga, Fiji, Tonga, or others, it may be easier to call Delta Reservations at (800) 221-1212 to have them look for award space. It’s great that Delta charges the same price to fly to these South Pacific Islands as Australia and New Zealand! Paid fares to the islands are generally more than those to Australia and New Zealand, so booking to the South Pacific Islands is a way to push the value of your miles even further. Most routes from the U.S. will fly through Australia on the way to the smaller islands but unfortunately, Delta does not permit a stopover. 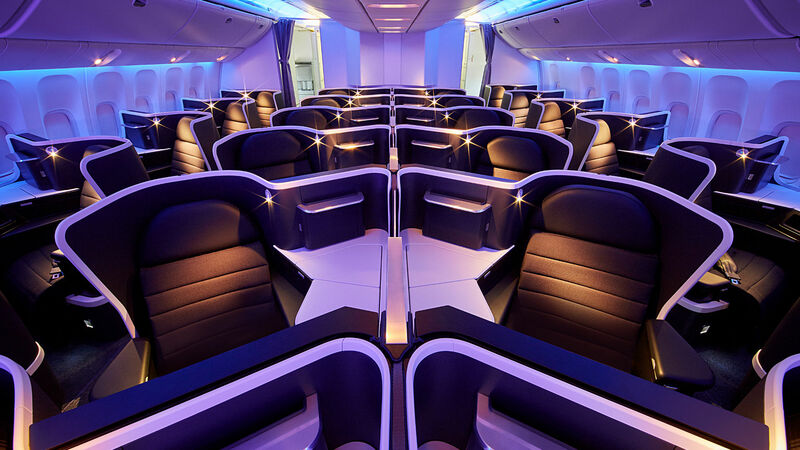 Virgin Australia tickets from the U.S. to Australia, New Zealand, and Oceania/South Pacific Islands one-way in economy class are 55,000 SkyMiles, while business class is 115,000 SkyMiles. We generally would not recommend spending 115,000 Delta miles to fly business class, as there are a handful of other airlines that offer much more economical awards to Australia and the South Pacific. If you want to fly Virgin Australia in business class, flights within Australia and the South Pacific are much more reasonable at 40,000 SkyMiles each way. Fees run around $200, but this is still an excellent redemption value! You can search for Virgin Australia award availability on Delta’s website. For more complicated itineraries, especially around the South Pacific, you may need to book through Delta Reservations at (800) 221-1212. Hot Tip: Don’t pay extra foreign transaction fees during your international trip. Take credit cards with no foreign transaction fees, like the Chase Sapphire Preferred® Card. 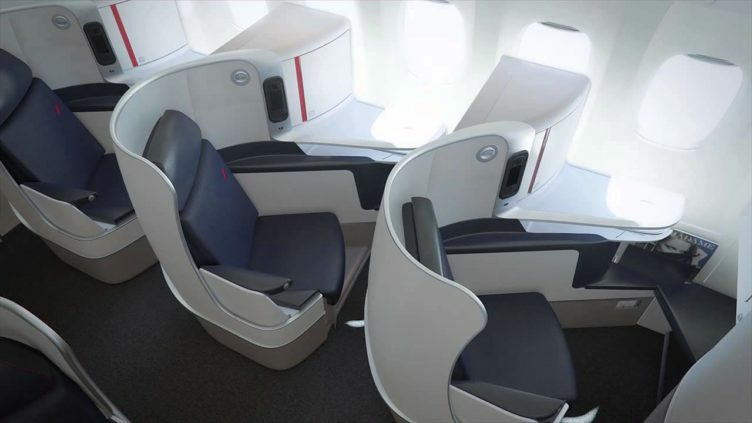 Use your Delta SkyMiles to access Air France business class award space before it’s available directly from Air France! Image courtesy of airfrance.com. Air France business class space is only released to Air France Flying Blue Members 305 days ahead of time, but the same space is generally released to Delta SkyMiles members 331 days before departure date. If you want to fly Air France to Europe in business class, booking with Delta between 306-331 days in advance is even better than booking directly with the operating carrier (Air France). This is highly unusual, as most airlines offer better availability to their own members than the members of partners. Even if Paris isn’t your final destination, you can connect onward to most other areas of Europe and beyond. Flights from the U.S. to Europe in economy can be booked for as low as 25,000 SkyMiles one-way, while one-way in business class will cost 75,000 SkyMiles. Use your SkyMiles to fly to beautiful Patagonia. Image courtesy of eu.patagonia.com. In 2012, Aerolineas Argentina joined Sky Team alliance and GOL joined Delta as a non-alliance partner. There are limited flights directly from the U.S. (only New York or Miami), but the options within South America are numerous. Since LATAM is one of the only other airlines dominating the region, SkyMiles are very valuable for flights within South America on Aerolineas Argentina and GOL. Patagonia is a very popular destination, especially for those inclined to spend time in the great outdoors. You can fly to El Calafete in economy for 35,000 SkyMiles one-way, or 100,000 SkyMiles in business class. This flight has a layover in Buenos Aires, so if you don’t want to go all the way to Patagonia, you can fly to Buenos Aires for the same number of SkyMiles. If you want to see more of South America while you’re there, you can book economy flights within the region for 12,500 Delta frequent flyer miles between any 2 cities. Hot Tip: Visit the Delta Sky Club in O’Hare before leaving! You can gain access by purchasing a day pass, a membership through Delta Sky Club, or owning The Platinum Card® from American Express. Members of the Gold Delta SkyMiles® Credit Card from American Express get access for only $29/visit. Use your Delta SkyMiles to plan a fun multi-destination trip with partner AeroMexico. Image courtesy of businesstraveler.com. Delta’s partnership with AeroMexico is one of the few that has been relatively unaffected by several recent devaluations in the Delta frequent flyer program. You can fly to Mexico, or (if you’re really feeling adventurous!) do a multi-city tour to Mexico and then to Europe. Mexico City has great award availability on flights to London, Paris, and Madrid. When the option is available, choose to view the 5-week flexible dates calendar in your search. This will help you find the lowest SkyMiles award ticket prices. New York to Mexico City one-way in economy class for 20,000 SkyMiles, or in business class for 35,000 SkyMiles. New York to Mexico City to Madrid to New York in economy class for 90,000 SkyMiles, or in business class for 170,000 SkyMiles. Hot Tip: When putting together a multi-city itinerary with Delta, it makes sense to search both the entire itinerary as a multi-city search and each segment individually. In some cases, the price may be better booking one way vs. the other. Delta SkyMiles give you access to booking 4 different China-based carriers. Image courtesy of airlinequality.com. 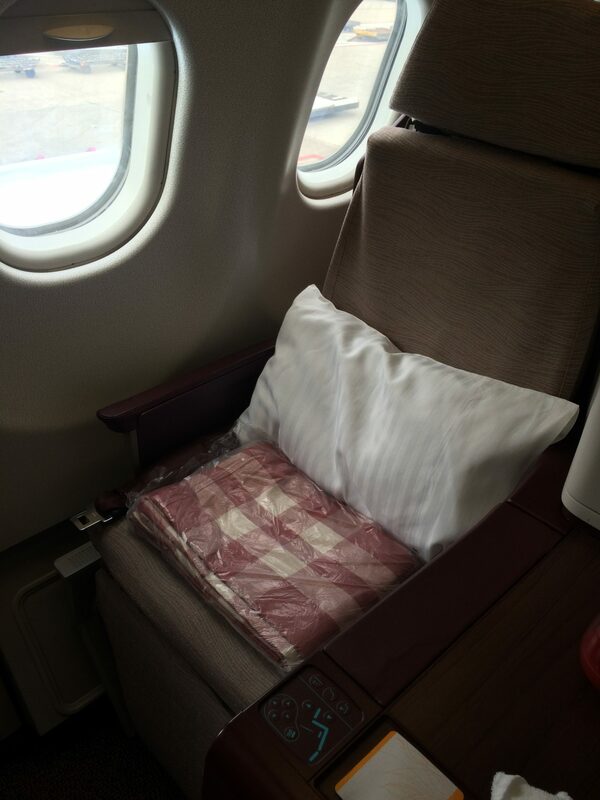 Many of the Chinese airlines are praised for their business-class products. When using your Delta SkyMiles, you have the ability to book China Airlines (based in Taipei), China Eastern and Shanghai Airlines (based in Shanghai), China Southern (based in Guangzhou), and Xiamen Airlines (based in Xiamen), in business class for only 85,000 SkyMiles in each direction, or you can book economy class for only 35,000 SkyMiles. China Airlines is generally thought to offer the best airline experience. All of these airlines can be searched on Delta.com for award availability. However, results for China Eastern and China Southern frequently display award availability that isn’t there (it will have an error if you try to purchase) and connecting itineraries often incorrectly price each segment additively rather than as a single one-way. Calling Delta won’t help with availability, though sometimes can fix incorrect pricing. Using another SkyTeam program like Air France KLM Flying Blue or Korean Air Skypass is a backup to booking these airlines. With China Airlines and Xiamen Airlines, you usually won’t encounter these pricing and ticketing problems. Fly from Japan to Australia in Korean’s business class with a full day to see Seoul on your way there! Image courtesy of waytofly.com. 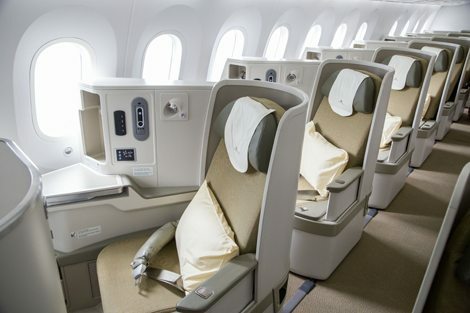 If you want to tack on an extra destination to your trip, flying from Japan to Australia or New Zealand with Korean Air in business class is a great way to experience a taste of luxury for fewer miles. Overall, you’ll end up with about 13 hours of flight time, plus a layover in Korean Air’s Seoul-Incheon hub with a great lounge to visit. It is possible to work in a longer layover and have time to head out into Seoul for a day of sightseeing as well. You now can redeem Delta SkyMiles for flights on Jet Airways. While many won’t think of Jet Airways when they think of luxury, Jet Airways does offer a fully flat seat in business class that isn’t half-bad (I tried it!). Jet Airways currently only operates 1 flight from North America, which is Toronto (YYZ) to Amsterdam (AMS). Economy class redemptions start at 35,000 SkyMiles and business class redemptions start at 85,000 SkyMiles for the Toronto to Amsterdam leg. All the way to India, the one-way price is a reasonable 40,000 SkyMiles in economy, but very high at 120,000 SkyMiles in business class. 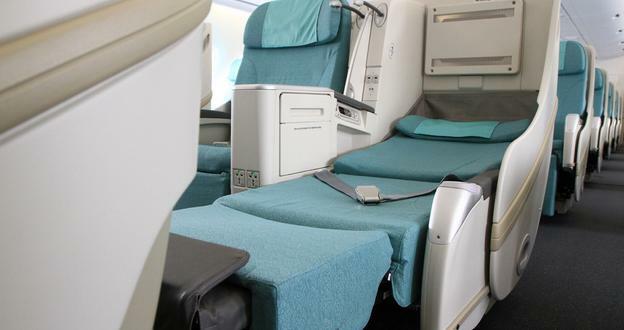 Use your Delta miles for a redemption in Vietnam Airlines’ business class. Image courtesy of businesstraveler.com. Vietnam Airlines is part of SkyTeam, which means you have the option to redeem your Delta SkyMiles for flights to and within Vietnam. You can add on a trip to Vietnam, one of this year’s hottest destinations, from Japan for only 22,500 miles in economy or 40,000 miles in business class on Vietnam Airlines. 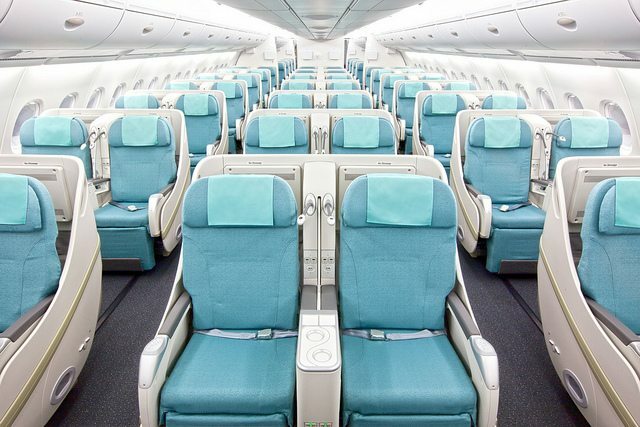 You have another chance to redeem miles for Korean Air’s business class when you fly to Palau using your Delta SkyMiles. Image courtesy of waytofly.com. Availability might not be the easiest to find, but if you can get it, you surely won’t regret using your Delta SkyMiles to get to Palau. Palau is one of the most beautiful Pacific Islands, and you’ll save a boatload of money by redeeming miles for your flights. 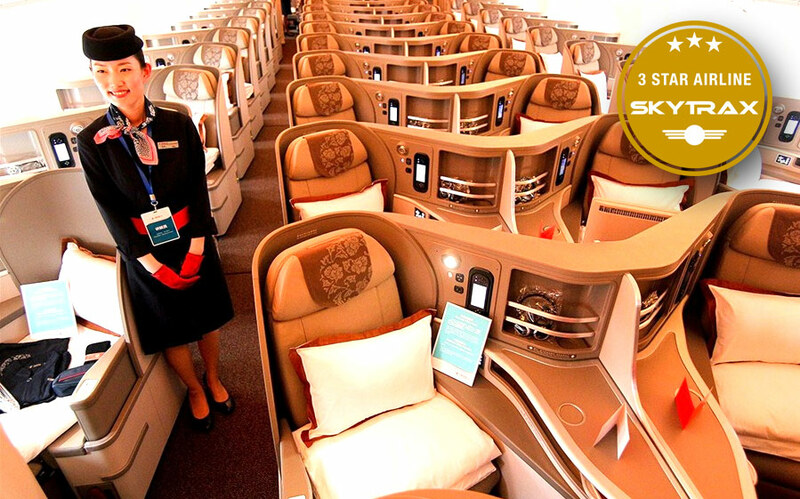 Economy class redemptions from the U.S. start at 55,000 miles and business class redemptions start at 115,000 miles. There’s a good chance you’ll end up flying Korean Air to Palau, and their business class will ensure that you hit the ground running! The Delta airline partners include Sky Team airlines as well as some non-alliance partners as well. 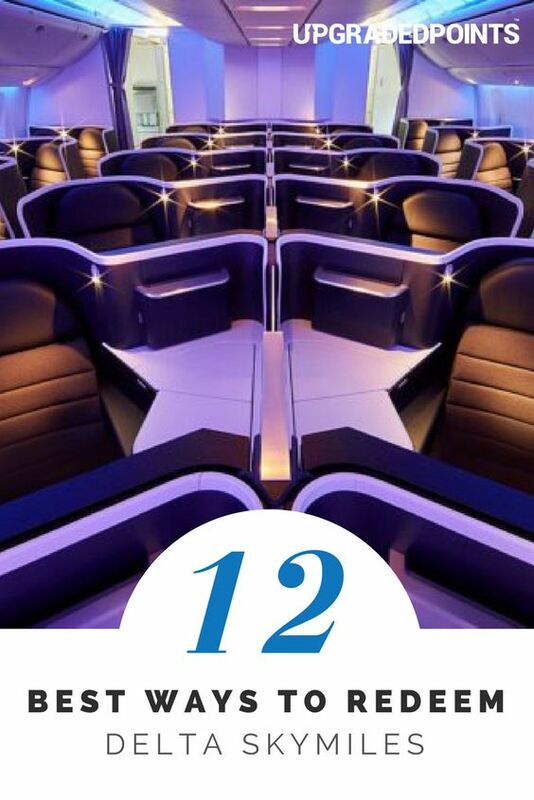 Image courtesy of skyteam.com. Non-alliance partners are some other great Delta partner airlines that aren’t a part of other alliances. Delta currently has a revenue-based award program, but they still have a somewhat zone-based award program for flight redemptions. Strangely, the Delta award chart was removed at the beginning of 2015, so it is sometimes a challenge to determine which destinations are in what zone as well as the prices to various zones. Though overall Delta still has a zone-based program, some flight options don’t quite fit this mold, which makes it very difficult to make sure you are getting a good deal for your flights. Delta SkyMiles approximate award chart. Image courtesy of travelisfree.com. This article outlines what we believe to be the best ways to redeem your Delta frequent flyer miles for flights once you’ve earned enough of them. Bottom Line: You can fly cheaply within the U.S., put together great multi-city itineraries, fly in world-class international premium cabins, and fly to far-flung and remote islands in the South Pacific. When you use your Delta SkyMiles in these ways and compare the pricing offered to the lowest cash price available, you can be confident that your SkyMiles aren’t “Sky Pesos” after all. Also useful might be to take a look at Delta’s baggage rules so that you can avoid paying any extra fees as well as our general airline review on all things Delta. Happy redeeming! Delta’s points program is called SkyMiles. The points you earn, redeem, and transfer are Delta SkyMiles. What credit cards offer Delta Air Lines miles? You can earn Delta miles through their branded American Express cards: the Gold Delta SkyMiles® Credit Card from American Express, the Platinum Delta SkyMiles® Credit Card from American Express, and the Delta Reserve® Credit Card from American Express. You can also transfer points to Delta SkyMiles from American Express Membership Rewards. What are Delta SkyMiles worth? The value of Delta SkyMiles depends on what kind of ticket you are redeeming with your points. Most people value Delta SkyMiles at around 1.2 cents per mile. However, I can easily find redemption values upward of 5.5 cents per mile (e.g., a business class flight on Virgin Australia). At 5.5 cents per mile, that’s like getting a $100 ticket for the equivalent of about 1800 Delta SkyMiles. What are MQM Delta miles? MQM are Delta’s Medallion Qualifying Miles, which help people reach elite status membership in Delta’s Medallion program. As a Medallion member, you will receive special perks and benefits like fee waivers and additional SkyMiles earned on flights. How many Delta SkyMiles do I need for a free flight? Inside the U.S., you’ll need as few as 5,000 SkyMiles to fly one-way between U.S. cities. For international flights, you can get to places like the Caribbean, Central America, and Mexico for as few as 17,500 SkyMiles. How do I transfer Delta SkyMiles to a spouse? Sign in to your Delta SkyMiles account and go here. Choose add a recipient, and then you can transfer SkyMiles to up to 4 recipients at once. Fill out the requested info, including the recipient’s SkyMiles account number, name, and email. Select Add to Cart and continue through the prompts. Who are Delta SkyMiles partners? When do Delta SkyMiles post in your account? For Delta SkyMiles earned through credit cards, SkyMiles should appear in your account after the billing cycle in which you have earned them. You can dispute missing frequent flyer miles you feel you should have earned by calling the number of the back of your credit card. Delta says SkyMiles earned on flights operated by them should post within 24 hours. If earning SkyMiles via flights on partners, your account should show them within 7 days. After this period, if your SkyMiles are still missing, consider requesting mileage credit. You will only need to enter your SkyMiles account number and your ticket number for your flight. Your SkyMiles will be redeposited for any award ticket bookings canceled at least 72 hours prior to the origin flight departure time. There is a $150 fee for redeposit. The fee is waived only for Diamond and Platinum Medallion members. When do Delta SkyMiles expire? Delta SkyMiles do not expire. Hooray! Caroline Lupini always enjoyed traveling, but it became her goal to do as much as possible after a 3-week trip around Europe in 2011. In March 2014, Caroline left her job and embarked on nearly full-time travels. As a frequent traveler, frequent flyer miles have played a large role in planning her trips. Caroline has enjoyed discovering the ins and outs of how to maximize different types of miles, hotel points, and transferable points currencies. I am astonished at how difficult it has been to use Skymiles for the past couple of years. For travel to the middle east in business, it is almost 600,000 miles per person. I am going to stop using Delta once my miles are finished. I am retired, don’t want to fly anymore and have about 300,000 miles. Is there any other way to use the mileage for anything other then flying? Like many others, I am having difficulty booking award travel on Delta. I want to go from Orlando, Florida to Bergen, Norway. It is a long trip so I want to stay 11 days. With the 331 day rule, the challenge I have is that at or near the 331 day for my outbound flight, there are plenty of low miles, decent flights. However, I cannot book those as I have to wait until 331 days from my return trip. By the time this occurs, all the decent flights at reasonable miles are gone. In fact, most if not all seats are gone even on lousy flights with long layovers. Would appreciate any and all suggestions. Even considering booking a short duration trip (3 days or so) as soon as the outbound day becomes available to secure it and then a week – 10 days later, changing my return date when the one i want actually becomes available. A Delta agent said I could do this and that it was probably my only alternative. For example, today (7/3)I could book a trip of 5/25 outbound with a return on 5/28. On 7/8, I could change the return date to the real date I want of 6/7. Supposedly for a $150 fee. Thoughts? comments? Better suggestions? Thanks!!!!! Another option to consider is booking the award flight and either cancelling or making a flight change within the 24 hour fee cancellation window. If the flight on the date that you want opens up in the 24 hour window, you should be able to make a flight change for free. If the flight does not open up in the 24 hour window, simply cancel the flight. I have 28,257 Delta Air Miles, and I don’t fly anymore. Can these be cashed in for credit cards or cash? I am having problems finding any Air France Flights from the USA to Europe using Delta Skymiles for 75000 each way as noted in article. Any hints? Air France is difficult to search for award availability. The best way to find it is to keep searching for different dates and be sure to use the Delta “5 weeks” flexible date search when searching on Delta’s website. Hello, I have 8045 miles to redeem. May I get magazines or a cash refund? My reference is available if you need it. Thank you. I tried to go to magsformiles.com however after making my selection, I was unable to complete the process.